First let me thank you for taking the first step in signing up for the 2017 King Of The Motos race. That will be the easiest thing you will have to do. We have over 80 already signed up (that is way more than in the past at this time). You have entered to compete on the toughest course we’ve created with new elements this year. It will be an accomplishment to get all the CPs and finish. Plus an honor to compete in the toughest extreme course with the best riders in the US. Don’t blame me, you knew it was going to be tough and that is why you signed up. Blame the top racers who continually elevate the game. You get to ride on the same course no matter your ability and see how good of a rider you really are. No excuses. Our format this year will be all-new. The night race will have a mass start right into rocks and stay very difficult with very little open running. Start line pick, as it has always been, is determined by sign up order. We guess it will take top riders just over an hour (but we have been way off on these guesses before!) and could take stragglers up to five hours. There will be no pits, outside assistance or ways to access any help during this course but it will have two VERY GOOD spectator points. You will receive the track log for this course at the rider’s meeting on Saturday afternoon and at that time we will also release spectator maps for the entire MOTOs event. When you finish (or when you check into the finish line to let us know you have opted out of the course) the night moto you will be given the course track logs for Sunday’s Motos. This is to keep the course confidential and to better allow us to keep track of you for safety. 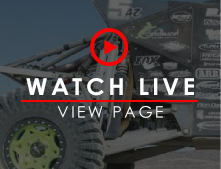 Sunday’s Desert Moto will start at 9:00AM. The mass start could be the most difficult single section of the entire event. It is one of two short rock sections in an otherwise very fast and rough course that will again take top riders about an hour to complete (we guess). Luckily slower riders will not take much longer on this less technical course save for the rocks at the end of the course. I will tell you exact mileages at the event but for reference I have run the course on a stock 2005 KTM 200XC (stock tank) with no issues on fuel and I did not go on reserve. If you can go 30 miles on the gas you should be fine. The start is very spectator friendly and the rest of the course is not. Some is on the military base with no public access except for racers in the race. We will have hard cut off times at CPs. 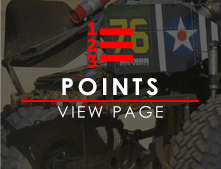 When you finish the Desert Moto you will receive the course tracks for the Hard Moto. Your bike will be in a Parc Ferme between these two motos (just like in the past) where only the rider can touch or work on the bike. You will be able to have a vehicle along the fence just as in years past but only bikes and riders on one side. Riders can leave the area, bikes stay. The third Extreme Moto is a very technical hard enduro course, what you have come to expect from KOM. It has some old favorites and some all-new sections that will test you and your line selection and navigation as much as your riding skill. I barely got my motorcycle around this course unassisted. But I also had the time to get off the bike, walk lines and move rocks. And traction was good when I did it. Some of it will get better as riders pass, other sections worse. There will be excellent spectator spots all through the course and no pits. A bike with a full tank should make it without issue. We will have hard cut off times at CPs per our permit and for your safety. There are no repeated loops. There is no timing other than CP closing times. If you pull out or are cut out for time you can go to finish and then start the next race. I am stressing that the navigation will be more important than ever this year. Past participants have seen how it works--every year we leave more and more up to navigation. I suggest practicing with it. You need to know how to turn on your unit’s backlight for the night race and be aware of power useage if it is not hard wired to the bike. You should understand the scaling of the maps and how that changes what you see. You need to understand that if you are not moving the GPS is confused as to which direction you are pointing, especially if it is moving at all on the handlebar… KNowing how to clear off old track logs (between races) and deciding if you want to have your current track log being shown on the screen are all important. Don’t understand? Learn and practice with it because it will be more important than ever. I will hopefully post some instructional videos up on the KOM Facebook page as soon as they are ready and then provide links to them in the next newsletter for those riders wanting some additional insight. We will set up a practice track log for racers that we will give to you as early as Friday Feb 3rd if you’d like. 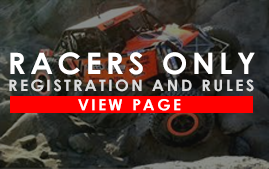 Trail Tech is again supporting the race and you racers by having a special discount on Voyager GPS units, Voyager Protectors and Radiator Fans. If you would like the information contact them.They will also be on site at the event to help with technical questions. We will be giving the track logs in .GPX and .GBD formats as well as on a printed map for riders scared of computers and living in the 80’s. With the use of the trackers we will have your position sent to a live page updated as quick as every 30 seconds. It has an emergency button for true emergencies. The tracker will also signal us when you enter a “geofence” at a CP so we know you are there. We will announce exactly how we will penalize for missing CPs and how we will determine course cutting as we get closer but it is all done to make this event fair for everyone. It is simple and if you do not miss CPs, you will not have any issues. One thing I will tell you is that we are using a system of scoring that is used in Hawaiian Hare Scrambles that I am a fan (and victim) of. With that the most important thing is having all of the CPs. So, if a rider gets nine out of ten CPs and finishes across the line first but the fifth rider across the line is the first rider to get ten out of ten, the fifth place rider is the winner. So before the rider with nine CP is counted in finishing order, all riders with ten CPs finish ahead of that rider. Getting all the CPs takes priority over the position across the line. All CPs will be marked as waypoints on the GPS track log and will have a physical marker (or volunteers) at that position on the course. The CPs will be in positions to eliminate any advantage of course cutting. The track log is in my opinion the fastest and best way to get between the CPs. This will be separate for each moto and not cumulative. The winner will be the rider with the lowest combined score of finish positions over the three motos. The third race position breaks any ties. I have heard of some complaints about the cost of this year’s event. Simply put, this is what it costs. 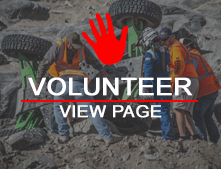 I hate to increase any costs and because of the need of the tracker I have made the offer that I will pay a racer back personally (after the event, after the deal is met) for your tracker cost if you bring me a hard working volunteer who works for the whole MOTOs event. One person per tracker and it has to be a new volunteer as I have already had racers tell me that they are bringing a guy who has worked with me for a few years. We need more help, that is the point here. If you don’t believe me, work an off-road race event at a checkpoint or a road crossing and then tell me you are complaining about cost. You are paying for lots of things you do not see and if it wasn't for volunteer help it would be even more outrageously expensive. This race has a live show, live tracking, NBCSports coverage a massive law enforcement presence, medical staff, helicopters and requires more permits than you can imagine. 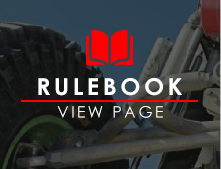 As far as regulations for the bikes go, it is pretty simple. Run what ya brung. 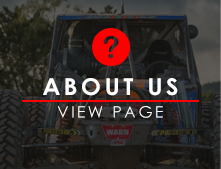 You’ll need a safe motorcycle that has a spark arrestor and meets the 96 dB requirement to be ridden off-road. Proper OHV sticker (CA or other state OK). A working headlight for night and some sort of tail light (red--can be attached to rider, in fact we prefer that). Each rider will need to carry a flashlight during the night as well. We will provide the front numberplate sticker (and likely a fender one for the night as it will serve as your score card as well. There is no outside assistance from anyone other than other racers still in the race for the entirety of the race and no spare parts can be delivered at any time. You will not have to impound your bike after the night race. The course is set up so that one man (or lady,) on one bike can make it around by himself (herself). I know I did it on a 2005 KTM 200XC with a stock gas tank. For night I ran an older Baja Designs Squadron headlight but remember I know where I’m going and that sometimes helps. There are places where there is only one tire track out there and there will be only one track until race day. 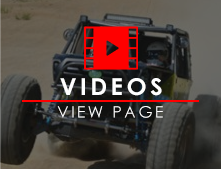 Johnston Valley OHV area is open to legal riding at any time and there is no restriction on where you can go within the legal riding area right up until the race. We go out of our way to keep the course hidden--take markings you see with a grain of salt. Only with a GPS track will the course make any sense. Please remind your friends and family attending to watch out when near the course and abide by any course marshals advice or suggestions. It is for your safety. I am constantly being asked what can I do to prepare and hope to finish. I will give you some advice. Be in really good shape. Know how to eat and drink while being stressed on the bike to maintain energy. Don’t ride anything that has not been tested in KOM-like conditions. Don’t put yourself at a disadvantage with your machinery. Bikes with snappy power, improper gearing, lack of battery power or cooling capability when not moving (did I just describe a motocross bike?) will not help anyone. Know how to navigate a track log even if you have no intention of winning--it is just as easy to follow someone the wrong way as the right way. Have a good attitude and enjoy the pain. In Hammertown we will have our usual limited area available on a first come basis. You will be packed in tight with little room to spread out. Everyone will be required to purchase a pass to get into Hammertown but since there is no actual pit crew in the pit areas (rider only), you will not need any special passes. If you have some sort of special need (and I mean special as you should have already made arrangements with Ultra 4 if you are special) contact me and I will see if there is anything we can do within our limited area. It is mostly spoken for by all the volunteers who make this even possible. And speaking of that we can use motorcycle volunteers to help with crowd control during the rest of the week. Contact [email protected] and Jess will be glad to put you to work. Here is a tentative schedule for the weekend. I will send out a newsletter the week leading up to the event with updated information and if there are any changes you need to know about I will send out that information to all who are signed up immediately if it is important.